Entrance to Studio 3 is facing Woodlawn Ave. and is located just behind Winfield's Gathering Place. There is no sign from the street. 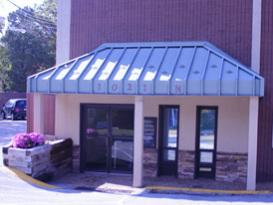 The entrance is located under the green awning which can be seen from Woodlawn Ave.